From the perspective of virtually any other state jurisdiction, New Jersey’s approach to the reimbursement of medical providers in the workers comp system is demon-ridden and rather strange. To begin with, there is no fee schedule. Providers are entitled to their “usual and customary” fees. By leaving fees to the providers, the state creates an unusual level of tension between these providers and the insurance carriers and self-insured employers who pay the bills. The tensions are not limited to the payers, however. When a payer refuses to cover all or part of the “usual and customary” bill, the provider has the option of billing the injured worker for the balance. The euphemism is “balanced billing” but in both concept and practice this is as unbalanced as a comp system can get. The fundamental premise of workers comp is that the medical costs and lost wages of workers injured on the job will be covered by their employers. 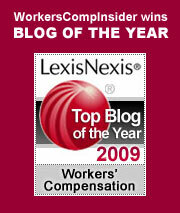 In return, workers have given up the right to sue their employers for work-related injuries and illnesses. In most states, the protective barrier between injured workers and the costs of treatment is absolute: there are no copays, no deductibles and no fees whatsoever for injured workers. Comp even covers the cost of travel to and from treatment. “Out of pocket” is a concept that simply has no place in workers comp. Medical coverage under workers compensation is, in the words of my colleague Tom Lynch, “the best coverage plan in the world”: it pays for everything and includes indemnity payments for lost wages, too. The only catch – and it’s a big one – is that to qualify you must be injured “in the course and scope” of employment, with an injury “arising out of” employment. Balanced billing is patently unfair to workers. Routine disputes between medical providers and payers spill over to injured workers. Unpaid portions of medical bills are sent to the workers, who are in no position to pay them. When workers routinely refuse to pay these bills, they may find themselves harassed by collection agencies. Not exactly what the doctor ordered when you are trying to recover from your injury and return to work. Senate 2022 to the Rescue? Senate Bill 2022 is wending its way through the New Jersey legislature. The bill recognizes the inherent unfairness of balanced billing and would put an end to the practice. Any disputes about payment would revert to the workers comp bureaucracy, but under no circumstances would the disputed portion of any medical bill become the responsibility of the injured worker. It’s interesting to note that the bill explicitly avoids the issue of a fee schedule. Medical providers will continue to bill for their “usual and customary” fees, which, in turn, will keep the cost of medical treatment relatively high. But at least the injured workers will be exempt from the dispute. That’s the least the Garden State can do in its belated effort to restore fairness and equity to the comp system. Here’s hoping that S 2022, in one form or another, finds its way to the Governor’s desk in time for Halloween. That would soothe the ghosts on Cooper Road and allow them to revise their signs to address some other glaring inequity in our imperfect world. This entry was posted on Monday, September 24th, 2012 at 12:03 pm	and is filed under Best Practices, Insurance & Insurers, State News. You can follow any responses to this entry through the RSS 2.0 feed. You can skip to the end and leave a response. Pinging is currently not allowed.